No trip to the Mayan Riviera would be complete without taking a snorkel tour from Tulum! Come along with us on one of our fantastic undersea adventures! From exploring the untouched islands that dot the horizon, to plunging into the water to swim with turtles and whale sharks, there’s so much to discover on our snorkeling tours from Tulum. Our snorkel tours let you discover a side to Mexico that many people miss out on. Rather than just lounging around on the beach, you’ll be able to discover a whole new undersea landscape that’s simply bursting with amazing sights and stunning wildlife. 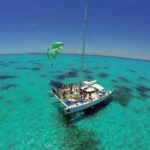 Climb aboard one of the fastest speedboats in the Riviera that will whisk you out into the clear blue Caribbean or swim lazily on one of the most beautiful coral reefs, there is a tour that suite anyone. So take a look and see which one is for you! One of the main reasons why people visit the Riviera Maya is because of our endless miles of incredible coastline, particularly the sandy beaches. This is the perfect place to relax and work on your tan, but if you really want to see what the region has to offer, then you simply must join us on one of our snorkeling tours from Tulum. We have so many different tours to choose from, so whether you want to swim with beautiful marine creatures, or explore a colorful coral reef, we’ve got just what you’re looking for. There’s something for everyone here at Wonderous World! 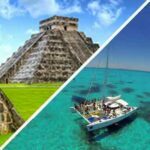 We find that most people join us on Tulum snorkel tours because they want to see first-hand the incredible coral reefs which dot the ocean floor. These reefs are actually among the largest in the world, and while the Great Barrier Reef is slowly dying out, our coral continues to thrive and grow. That makes the Mayan Riviera possibly the best place in the world to snorkel around the coral, and take in with your own eyes the beautiful colors and shapes that make up the reef. It might look like an alien landscape, but the coral is actually alive and growing, it’s one of the most unique creatures on the planet! 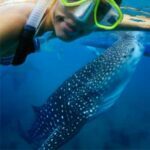 Be sure to bring along a special underwater camera, and you’ll be able to take some truly incredible photos that will have all your friends and family at home bursting with envy. Coral isn’t the only one-of-a-kind organism that lives in these waters. 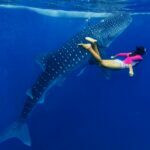 During the summer months, the seas around Mexico are home to the whale shark, the biggest fish in the entire world. Don’t be frightened, though while most sharks are predatory, the whale shark feeds almost entirely off plankton. They are incredibly friendly and docile, so you’re free to get up close and personal with them for an experience you will never forget. These magnificent creatures grow an average of 10 meters long, with some sharks up to 15 meters long being reported! While they are big, they are also pretty cute, with a big goofy grin instead of sharp scary teeth, so you’re sure to fall in love with them at first sight. 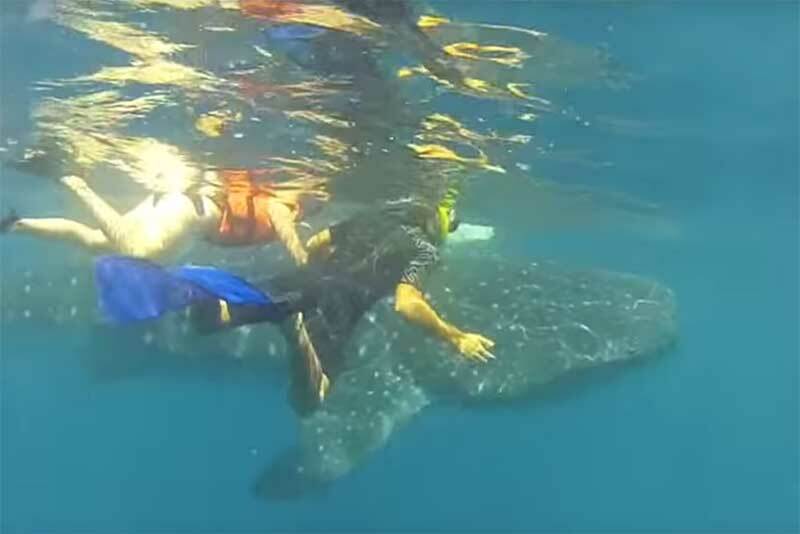 They come back to the region every year because it’s home to huge amounts of plankton, so you’ll have something to bond over while swimming with them- you’re both tourists here! This is a unique chance to see these beautiful animals in their natural habitat, instead of an aquarium, so you should certainly make the most of this fantastic opportunity. There are plenty more animals to meet on our Tulum snorkeling tours, too. The Caribbean is home to so many incredible species, including dolphins, which are always a hit with tourists. As you probably already know, dolphins are extremely intelligent and friendly, and they love to get to know divers and play with them. If you’re lucky enough to spot one while out on a snorkeling tour, then chances are you’ll quickly become firm friends! 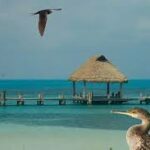 The seas around the Riviera Maya are home to so many different species of sealife, and you would only be able to see them in an aquarium otherwise. Octopi and squid slither around rock formations, while sleepy sea turtles drift by on the current, letting plankton and plants just fall into their open mouths. 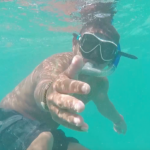 Your expert snorkel guide will point them all out to you, and provide you with a day full of adventure that you will remember for the rest of your life. What’s great about our snorkeling tours from Tulum is that anyone can join in on the fun. Unlike scuba diving, there’s no need for any specialist training, or expensive equipment. All it takes is a simple snorkel mask and tube and a life vest, and you’re ready to start exploring the clear waters of the Caribbean! 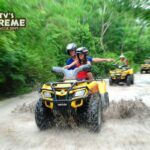 Each one of our tours is perfectly safe and comfortable, making them the perfect choice for families who want to enjoy some quality time together. Whether it’s just you and your partner, or if you want to bring the kids along too, we’ve got snorkeling tours from Tulum to suit you all- everyone is welcome! Don’t think that our snorkel tours from Tulum only take you out to sea, though. This part of Mexico is famous the world over for its cenotes, or sinkholes. While they look like just a hole in the ground from a distance, if you peer in, you’ll see that they open up into vast underground caverns, many of which are home to an enormous range of wildlife. 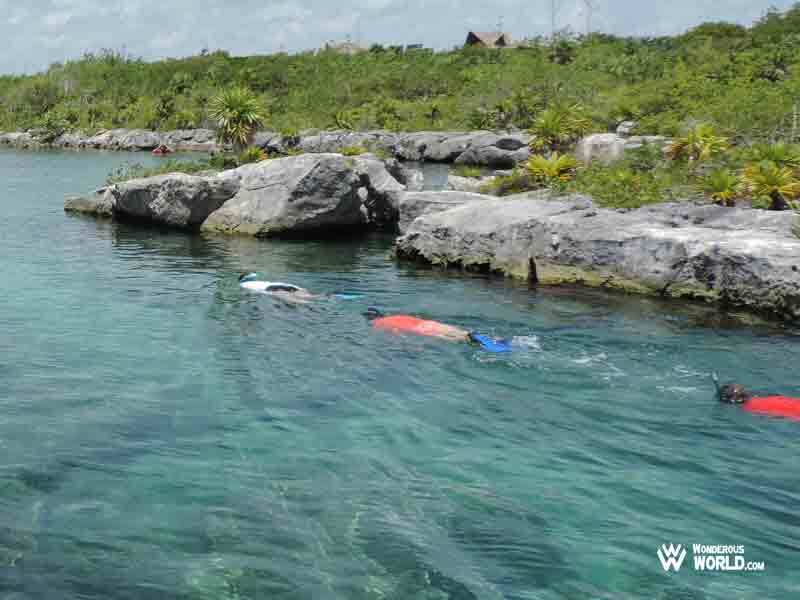 Tourists and locals alike flock to these cenotes to take a dip in the water, and cool down from the hot sun. 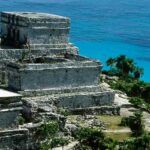 They have been used by humans since the Mayan times, when religious ceremonies would be held here. Nowadays, though, you’re more likely to see cave divers than priests, and if you’re feeling brave enough, you can join them for an exhilarating experience. 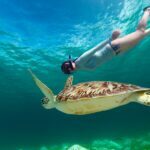 Just take a look through the full list of our Tulum snorkel tours, and you’ll see we have a whole world of choices to offer. From diving into the deep blue sea to meeting vast sea creatures, to taking a dip in an underwater cavern, there’s so many different aquatic adventures to choose from. We’ll pick you up, and provide you with a day of excitement and unforgettable experiences. Just pick whichever one takes your fancy, and then contact us to arrange your booking. We can’t wait to see you!